Like sweet wine? 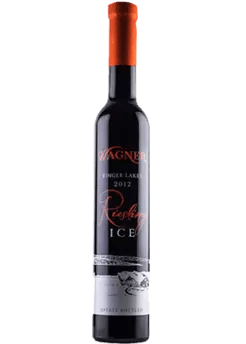 If yes, you have to try Ice Wine! Ice Wine (Eiswein) is created through a process of leaving ripe grapes on the vine until the first frost before harvesting and pressing. These grapes are pressed for juice while still frozen. When the grapes sit on the vines long after traditional harvest season, the fruit is exposed to the sun all the way up until the first snow. This sunlight exposure allows the juice inside the grape to slowly sweeten over time. Crushing these grapes while frozen could pose a threat to machinery, which contributes to higher costs. The juice produced tends to create wines with an average of 10% alc level. Ice wine has the same sweetness as a Moscato. 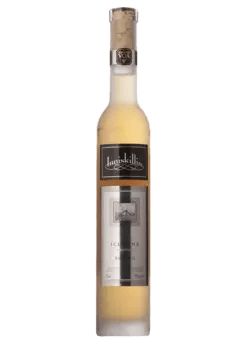 Ice wine is unique and one of the claim to fame aspects of colder counties. ex: New England that is famous for it’s Iced Cider or Apple wines. Traditionally, Ice Wine must be made with grapes that are naturally frozen on the vine. Most Ice Wine producing countries like the US, Austria, Canada, and Germany, all have laws that prevent wine labels from claiming they produce “Ice Wine” if the grapes are commercially frozen instead. As we explained, the process of producing proper Ice Wine is painstaking and crushing the grapes isn’t even the hardest part. These difficulties explain why Ice Wine is normally sold in half bottles and tends to be at a higher price point ($30 – $60). Anything cheaper is usually somehow doctored from the natural process. Real Talk: Is it worth the money? We recommend to try it at least once. Taste the wine straight up and chilled first. Then have fun figuring out different ways to use it. Mix it into a wine that isn’t sweet enough for you. Turn it into a winter cocktail to impress friends. Pour that liquid gold over ice cream or turn it into a boozy cupcake. I personally feel (Kristen) that it’s the most elegant way to enjoy dessert and if you have the money in your wine budget it’s worth the splurge. HOWEVER, keep it away from your friends who don’t really understand good wine. Your barefoot/yellowtail lovers will drink down your $40 in a heartbeat.